Do you know that what you eat can affect your mood? You may think that digging into a tub of ice cream when you feel upset will help you feel better, a diet of sugary and processed foods is bad for your health and well-being. In fact, people who eat a lot of junk food are more likely than those with a healthier diet to be depressed, anxious and unable to think as clearly. So what should you eat instead? People who eat a lot of fruit and vegetables report being happier, less depressed, and more satisfied with their life than those who eat very few. Studies have even shown that people are more creative on days where they eat more fruit and vegetables compared to days when they eat less! Fruit and vegetables contain a wide range of vitamins and minerals that your body needs to function. These nutrients can help to grow and repair cells. They can also boost your mood. Leafy greens like bok choy and spinach, as well as berries are full of antioxidants that can improve your physical and mental health. You can also blend them into delicious smoothie! 1 handful of spinach, 2 handfuls of blueberries or strawberries, 1 banana, 1 tablespoon of sesame seeds, 1 cup of milk, 1 tablespoon of honey and 1-2 teaspoons of cocoa powder. Whole grains are digested slower than refined carbohydrates, which means that they deliver sugar to your body more slowly. This can help to keep your mood stable and avoid a sugar crash. Whenever possible, choose foods of the brown and wholegrain variety over white bread, pasta and rice. You can also swap a sugary breakfast cereal or pastry for sweet homemade oatmeal. 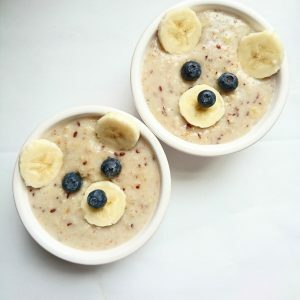 To make the oatmeal, add half a cup of oats to a pan along with 1 cup of milk and a chopped banana. Then, cook the oats on the stove until they are boiling. Serve with fresh fruit. A low-fat diet has been promoted as ‘healthy’ in recent years, but your brain actually needs fats to be able to function. Such diets have also been linked to depression. 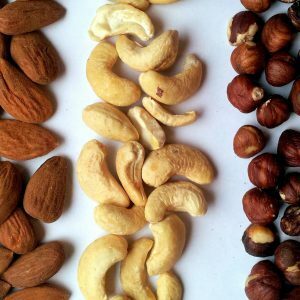 Luckily, nuts and seeds are full of protein and healthy fats. Artificial trans-fats found in biscuits and cakes, on the other hand, are unhealthy. Snack on almonds, hazelnuts, walnuts, coconut, pumpkin seeds and sunflower seeds instead. You can glean the most benefits from raw, unsalted nuts and seeds. They also go well with fresh or dried fruit. A scoop of ice cream can make us happy, especially when enjoyed with friends. But to boost your mood, more fruits, vegetables, whole grains, nuts and seeds are the way to go. 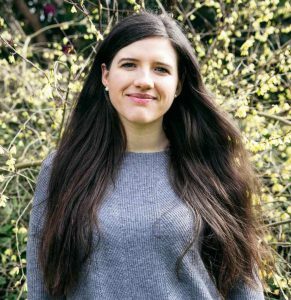 Rachel is qualified nutritional therapist who is currently studying a PhD in the psychology of eating. 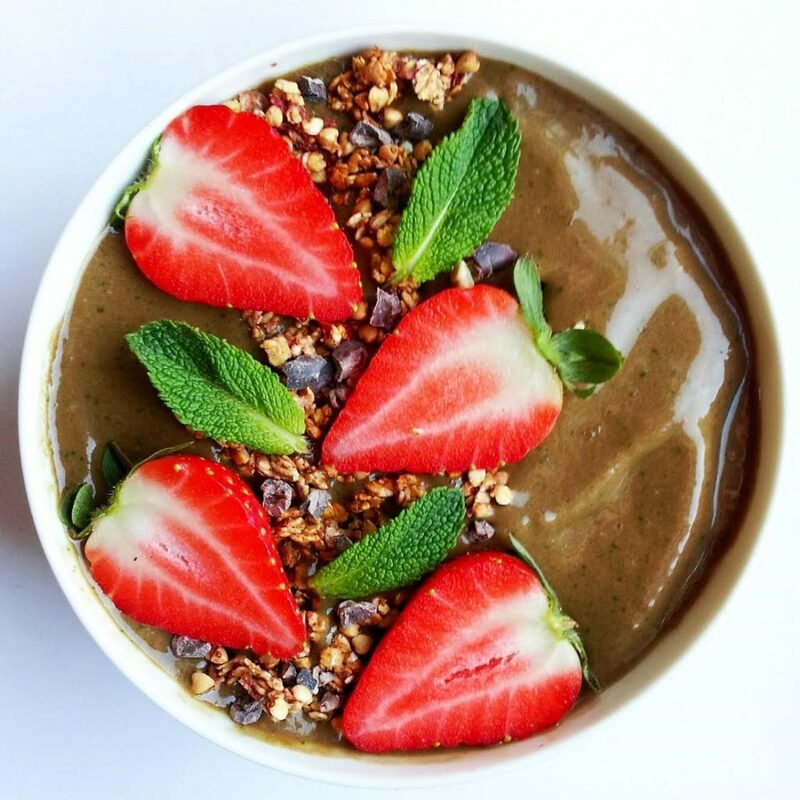 She runs her blog – Healthy & Psyched, in her spare time and loves creating delicious and nutritious plant based recipes. Get in touch with Rachel through instagram (@healthyandpsyched), twitter (@healthyandpsych) or her blog healthyandpsyched.com.